When it comes to your business, pests can compromise structural and sanitation conditions, as well as damage reputation, merchandise, valuable documents and equipment. TORO has been protecting reputations and businesses and for more than 40 years we recognize that our clients often have specific needs that require a customized solution. From treatment and elimination to quality assurance audits, to employee training, TORO has protected businesses from pest infestations and their reputation since 1969. Our professionals offer warehouse pest control services throughout Miami and the surrounding areas. 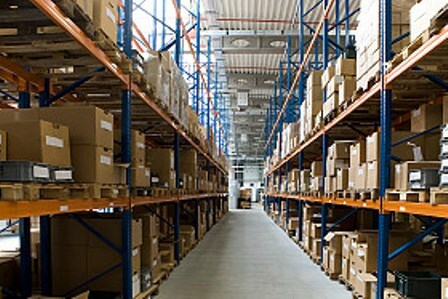 Whether your warehouse is large or small, your facility provides unique opportunities for pests to live and breed. Our dedicated commercial division is trained and equipped to handle any type of commercial pest problems. TORO can design a customized program to fit the special needs of your facility. We understand that supplies and stock contaminated by rodents or insects must be destroyed, resulting in loss of revenue and possible loss of customers. That is why TORO has created the state of the art rodent control program. 5. Report outlining any conducive conditions such as sanitation and structural deficiencies. We also control pigeons, roaches, ants and spiders which are pest commonly found in warehouse. Warehouses and distribution centers are usually loaded with stock and supplies. This makes them a very good breeding ground for pests. The darkness in the warehouses and the availability of food for different kinds of pests will always pose a problem. The presence of pests in these areas is definitely something to worry about considering that they can end up damaging the stocks and supplies that you have kept safe leading to contamination. Once the goods are contaminated or damaged by insects or rodents, you might have to destroy them and this means losses for the business. Loss of goods increases loss of customers who feel they can no longer rely on you to get what they want if you are always out of stock. Luckily, it is possible to get rid of the pests to ensure your warehouse or distribution center remains safe and healthy. This is thanks to commercial pest control services now readily available. The fact is that it can be hard for you to control the pests yourself, especially when you are not very sure where their nests are. Professionals from reputable management companies like Toro Pest Control Management however, know everything there is to controlling and managing pests. We have best quality commercial pest control products and know the best techniques to work on the pests, thus leaving your issues well taken care of. When seeking commercial pest control services, it is important to choose the best commercial pest control companies to offer you the best results with the elimination. Toro is amongst the best that you can choose since it has trained and experienced professionals to deal with your pests and eliminate them. To ensure they know what the situation is like on the ground, our professionals start by assessing and evaluating the warehouse of the distribution facility. After they have identified the pests attacking you, they will find it easier to decide on the best products and elimination methods. Detailed inspections can also be done from time to time to ensure your warehouse or distribution center is pest free.